It is a privilege to post this article by Andrew MacGregor, a retired Australian policeman, on this site. For nearly an hour after his three fellow bombers detonated their explosives on the tube, the teenager was seen pacing around outside King’s Cross, clearly unsure about what to do. Now this is odd. The inquest has already been informed that these men actually made a ‘dummy run’ prior to the 7th of July 2005, and if this was the case, then Hasib Hussain would have been well aware of what he had to do and when to do it. Please understand this point. If what the inquest has already been informed of, that is that the four men accused of being terrorist bombers, had made ‘dummy runs prior to the actual attack, then Hasib Hussain would have been very well aware of what he was required to do, and his actions would not have been; ‘clearly unsure about what to do’. He frantically rang his co-conspirators, only to find he couldn’t get through. We are supposedly talking about a teenager who, along with three other ‘co-conspirators’ had planned a ‘suicide attack’ on the London Subway. Why would this teenager try to contact his fellow co-conspirators, who he supposedly knew would have been by that time be dead? If Hasib Hussain had been a ‘suicide-bomber’ as charged by the police, then he would have been aware that his three fellow ‘co-conspirators’ were also ‘suicide-bombers’ and that they were to die in three simultaneous detonations within the subway. If the four ‘conspirators’ were to die in four simultaneous detonations, then Hasib would have died as required, or as soon as possible afterwards. If however, there were supposedly, no ‘suicide’ attacks, then Hasib would have been able to contact his fellow conspirators, by mobile telephone, and endeavouring to contact his ‘co-conspirators’ via mobile telephones would be perfectly natural. Now again, at King’s Cross Station, there would have been evidence that the train services were in disarray. To a ‘suicide-bomber’ this would have been sufficient evidence that his ‘co-conspirators’ had successfully detonated their bombs, so again, why did Hasib Hussain endeavour to contact his dead ‘co-conspirators’? The only reason would have been is that Hasib Hussain did not realise that his ‘co-conspirators’ were dead. Rightio, Hasib Hussain has just tried to ring his three ‘co-conspirators’ who he does not believe to be dead, but couldn’t get through to them. So who then did he ring? This is extremely important. Things have gone wrong, and that is why Hasib Hussain has tried to call his ‘co-conspirators’ but has been unable to contact them. Hasib Hussain is at King’s Cross Station, but is supposed to have been somewhere else. The trains didn’t run on time, he hasn’t arrived at his proper destination, and so he tries to get some advice from his ‘co-conspirators’. That hasn’t worked as their phones are not functioning, and so what does he now do? He rings somebody else, the person who organised this event. The question is; did Hasib Hussain ring Peter Power, or somebody else from ‘Visor Consultants’? before digging around in his own rucksack containing his homemade bomb. Is this for real?????? Please, homemade bombs are notoriously unstable, and the last thing a ‘suicide-bomber’ would ever want to do would be to interfere with the bomb in his rucksack. That could so easily cause to bomb to detonate. Unless of course, there was no bomb in the rucksack, then it would be perfectly natural to rummage about in your rucksack. What Hasib Hussain’s rummaging about or ‘digging around’ in his rucksack tells us quite clearly was that Hasib Hussain was not concerned about the presence of a bomb in his rucksack, for the simple reason there was no bomb there. CCTV footage piecing together his every movement after separating from Mohammed Sidique Khan, Shehzad Tanweer and Jermaine Lindsay was shown on the fourth day of the inquest. The CCTV videos capture the four ‘co-conspirators’ together in the tunnel as they walked towards King’s Cross Station. Det. Insp. Ewan Kindness states that of the 76 CCTV cameras positioned throughout King’s Cross Station only this camera was actually filming for a period between 8.30am and 8.50am, but the single shot of the four men carrying rucksacks was taken at 08.26.32 hours, which is 3 ½ minutes prior to that stated time. And now we are told that this same CCTV video camera system ‘pieced together his every movement after separating from his companions. But that is not true. There is actually no CCTV videos of any of the supposed four ‘co-conspirators’ after 08.26.32 on the 7th July 2005 at King’s Cross Station. There is no CCTV video footage of Hasib Hussain or any of the other three supposed ‘co-conspirators’ at King’s Cross Station [prior to 8.54am], and that cannot be coincidental. For nearly an hour after his three fellow bombers detonated their explosives on the tube, the teenager was seen pacing around outside King’s Cross. Again, this is not true; it is a total fiction. There is absolutely no CCTV evidence from inside King’s Cross Station for the entire period of time that Hasib Hussain entered the railway station, until 28 minutes later when he was evacuated from the station along with the rest of the general public. If this is the only CCTV footage, presented to this Inquest, which Hasib Hussain appears on then there are major problems with the government line. What has happened to the CCTV footage taken from inside King’s Cross Station, from shortly after 8.30am until 8.54am? Deputy Chief Constable Andy Tanner stated on the 11th July 2005, the very same day that Det Insp. Ewan Kindness found the video clip from which the photo of the four suspects that, “The underground network is a CCTV rich environment.” This suggests that the CCTV evidence existed, so why has it not been presented to the Inquest? The only reason is that this evidence conflicts with the government line. Det Insp Ewan Kindness should at some stage remember that the oath of office that he took was to protect the ‘Crown’, not the government. He should also consider just exactly what constitutes the felonies of perjury (15 years), perverting the course of justice (15 years) and being an accessory to murder after the event (20 years) times the number of murdered. One may feel safe in London, but there would be a different situation if a trial was held in The Hague. Never forget what happened to General Pinochet. At 8.45am on July 7, Janice Stephens nearly fell over Hussain, who was sitting on a bench on the northbound Northern line, as she hurried to catch a train to work. “He was very far forward on the chair, sitting on the front edge of the chair with his elbows on his knees,” she said. So did the CCTV videos capture Janice Stephens almost falling over Hasib Hussain as he was seated on a bench on the northbound Northern Line, at 8.45am? If so was Hussain seated on a bench, or as Miss Stephens claimed, a chair? If not, does this really matter or is it to put a ‘human face’ on security? Or has this evidence been presented to cover for the missing CCTV evidence and thus pervert the course of Justice? CCTV footage taken nine minutes after he was seen by Miss Stephens showed Hussain – dressed in pale t-shirt, jeans and jacket – emerging from a bustling King’s Cross Station.” “He [Hasib Hussain] alongside hundreds of others, was evacuated following the detonation of Jermaine Lindsay’s bomb just outside the station on the Piccadilly Line. Do you understand what you are being told here? Firstly, Hasib Hussain did not move to the outside of King’s Cross station under his own volition; he was moved out when the station was evacuated. We are told that he was moved to the outside of King’s Cross Station by 8.54am, which is 9 minutes after he supposedly was seen on the bench by Janice Stephens. Now, if Hasib Hussain had been a ‘suicide-bomber’ in a pact with his three ‘co-conspirators’, then at this stage, Hasib Hussain, would have been very well aware that his ‘co-conspirators’ were dead. End of story!!! Have you ever thought of telephoning a dead friend??? Hussain then dawdled around King’s Cross, tried to ring each of his fellow bombers in turn, twice, between 8.58am and 9.19am.” “At 9am, he made a decision. Shrugging his large rucksack off his shoulders, he dropped it to the ground in the doorway of WH Smith’s within the station.” “For two and a half minutes, Hussain was seen bent at the hip, rifling around in the dark blue Sherpa rucksack, only yards from a security guard. Rightio, now Hasib Hussain, an 18 year old youth from Leeds, would know London just as well as I do since the last time I was in London was 1975. Can you comprehend this? Hasib Hussain is in unknown waters, and is unable to follow the instructions he has been given for his task on this day. So what is the first thing he does? He calls his mates to get some advice, but his mates are not answering their mobile telephones. Does this mean anything to Hasib Hussain? No, because he tried to ring them over a period of 21 minutes! Does Hasib Hussain believe that his friends are dead? No!!! Absolutely not, because he spent 21 minutes trying to contact them, and he wouldn’t have done that if he believed they were dead as a result of bomb detonations. Now let us compare two different descriptions of the same event. He frantically rang his co-conspirators, only to find he couldn’t get through … Hussain then dawdled around King’s Cross, tried to ring each of his fellow bombers in turn, twice, between 8.58am and 9.19am. Can you see the deception? The adjectives ‘frantically’ and ‘dawdled’ have virtually opposite meanings. What this piece did not inform you of was that Hasib Hussain had been evacuated from King’s Cross Station with every other member of the public who was present at that time. 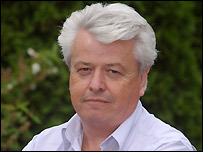 Hugo Keith QC, counsel for the inquest, said: “He spent a very significant amount of time rooting around in a rucksack containing a highly unstable cooled explosive”. Again, this tells us that Hasib Hussain was not knowingly carrying a homemade bomb. Had Hasib Hussain been aware of the device he was supposedly carrying, he would never have opened his rucksack, let alone drop it on the ground, as either action could have triggered a detonation of the device. In simple words, Hasib Hussain was not carrying a bomb. So let’s go back to the times that Hasib Hussain has endeavoured to contact his dead ‘co-conspirators’ via his mobile telephone, that is between, 8.58am and 9.19am. We are already aware that Hasib Hussain has been evacuated from the King’s Cross Railway Station. 8.58am: he must make his first mobile telephone call to the dead. 9.am: he drops his rucksack onto the ground in the doorway of WH Smith’s, and starts searching through the contents of the rucksack. 9.02.30am: Hasib Hussain finalises his search through his rucksack. After adjusting the straps as he placed it back on his shoulders, Hussain walked into WH smith’s and purchased a single Duracel plus 9 volt battery, at a cost of £4.49 … In the shop’s footage he was seen handing over a £5 note to the cashier, who was oblivious to its later deadly use. Are we supposed to be stupid? Hasib Hussain paid £4.95 for a Durocel plus 9 volt battery? Not really. How about the fact that since Hasib Hussain has been unable to contact his mates, that he suspects that his mobile phone is out of credit and so he purchases some credits for his phone? And Hasib Hussain still has four minutes to go until he stops trying to contact his three other ‘co-conspirators’ who, as per the government theory, Hasib knows are already dead because of the King’s Cross railway Station evacuation. So, what happened between 9.15am and 9.22am? We know that Hasib Hussain is a stranger to London. We know that he has certain instructions to follow, in either theory, be he a ‘suicide-bomber’ as per the government or a ‘patsy’ as per the opposing belief. We are also aware that the initial train that the four supposed bombers were to catch did not run on the day and that other trains were delayed making the government theory in regard to the other three ‘suicide-bombers’ an actual impossibility. It was these train schedules that were interrupted that would have also confused Hasib Hussain in that he couldn’t catch his train from King’s Cross Station to Euston Square Station, and then board the Route 30 bus at Euston Square. This results in Hasib Hussain loitering at King’s Cross Station, trying to contact his ‘co-conspirators’ in an effort to find out what he now has to do. We know his last effort to contact his ‘co-conspirators’ was at 9.19am, which was still unsuccessful, so what happened next to explain this? The last pictures of Hussain were at 9.22am as he walked past Burger King and Barclays Bank, still on only a few metres from Kings Cross … He stepped onto the Route 91 bus which soon parked in Euston Square, before boarding the Route 30, alongside scores of innocent passengers. So something occurred that put Hasib Hussain back on track to allow the final bomb attack to take place. This event occurred between 9.19am and 9.22am, when Hasib Hussain started to make definite acts towards the final bombing event. Did Hasib Hussain receive a telephone call on his mobile telephone, perhaps from somebody from ‘Visor Consultants’, or was it somebody like a ‘Richard Jones’, actually speaking personally to Hasib Hussain to direct him in the right direction? Mr Hugo Keith QC tells us that the very last picture of Hasib Hussain was taken at 9.22am, as he walked past the Burger King. There is absolutely no evidence presented here that demonstrates that Hasib Hussain ever caught the Route 91 bus to Euston Station. Had Hasib Hussain caught that bus, then he again would have been captured by the CCTV cameras on that bus, at Euston Station, and on the Route 30 Bus. That’s at least another three cameras that should have filmed Hasib Hussain, but didn’t. Had Hasib Hussain been on the Route 30 bus, then the witness Richard Jones, who told the world that he had been seated next to the bomber on the bus, would have been able to properly describe Hasib Hussain, together with his rucksack. But Richard Jones was unable to do that, which simply means Richard Jones did not see Hasib Hussain, because Hasib Hussain was never on the Route 30 bus. So, something occurred that caused Hasib Hussain to move. This event occurred between 9.19am and 9.22am, when Hasib Hussain started to make definite acts. Did Hasib Hussain receive a telephone call on his mobile telephone, perhaps somebody from ‘Visor Consultants’, or was it somebody, actually speaking personally to Hasib Hussain to direct him in the right direction? Now this question and answer is in regard to Hasib Hussain’s actions after he was evacuated from King’s Cross Railway Station, and it is obvious the Hugo Keith QC has made a presumption of which there two possible answers. If Hasib Hussain was on an actual ‘terrorist action’, then the fact that the public were being evacuated from King’s Cross Station would have been a sufficient indicator that the ‘terrorist actions’ had been completed, and thus there would have been no reason to endeavour to contact the ‘suicide-bombers’ as they would all be dead. However, if it was supposedly a ‘drill’ as per the Visor Consultants plan, then it would be perfectly normal for Hasib Hussain to believe that his three ‘co-conspirators’ were still alive and able to answer their mobile telephones. As for Det Sgt Mark Stuart’s reply, it is only a belief and there has been no evidence that can support such a belief. Furthermore there is no evidence that this witness is an expert in ‘terrorist mindset’, as he is only O.C. telecommunications. Only an expert can give an opinion, and only within his area of expertise. Have you ever heard of ‘putting the horse before the cart’? 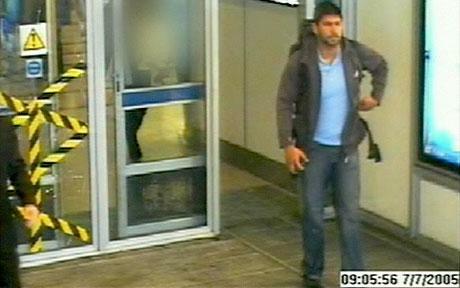 All the CCTV footage shows Hasib Hussain searching through his rucksack, which is claimed to be holding a homemade bomb, closing the rucksack, and then putting the rucksack back upon his shoulders and then purchasing the battery. There is absolutely no evidence whatsoever that the rucksack was then removed from Hasib Hussain’s shoulders, opened and the purchased battery being fitted to a bomb. Again, there is no evidence that Det Insp Ewan Kindness is a bomb expert, and so he is not competent to answer this question. And Finally, is it suggested that the bombs carried by these so-called ‘suicide-bombers’ were deficient in that they needed to fit batteries to the bombs they carried before they were able to detonate them? Is there any evidence that the other ‘suicide-bombers’ also were required to purchase batteries so as to activate their bombs. Is there any evidence to demonstrate that this teenager was a ‘competent’ bomb maker in that he was able to deduce that his bomb wasn’t working due to a faulty battery, and so bought a replacement battery, but was never seen to attach that battery to a bomb? Police believe he (Hussain) was supposed to detonate his bomb on the Northern line, but was thwarted by delays on the line and a problem with his explosives. Exactly what or who is meant by the name, “Police”? That the bomb Hasib Hussain was purported to have been carrying was supposed to have exploded on the Northern line is irrelevant simply because the explosion took place on a Route 30 bus. Again, the supposed ‘problem’ with his explosives is seen to be supported by the purchase of the Duracel 9 volt battery. Alright; just for one moment, let us consider that Hasib Hussain has determined that he has a problem with the bomb that he was supposedly carrying in his rucksack. Just how would have Hussain determined that he had such a problem? There is only one method that Hussain would have used to determine that his ‘bomb’ was faulty. The only way that Hasib Hussain would have found out that his bomb was faulty was if he had tried to detonate that bomb, and the only place he could have tried to detonate that bomb was in King’s Cross Station. If the problem with this supposed bomb had been a battery, and Hasib Hussain determined that, then he would have purchased the required battery as alleged, and then immediately detonated the bomb as required. The actual fact that after purchasing the Duracel battery, there is no hint at all that Hasib Hussain even tried to place the battery in the bomb he was supposedly carrying in his rucksack can only mean that there was no bomb, there was no problem with the bomb, and the ‘Police’ beliefs are not factual. The bus (Route 30) bore an advertising poster for The Descent, a horror film about a caving expedition which went disastrously wrong … It was this advert that made it easier for the Met Police team reconstructing the journey to track the bus’s final movements before Hussain detonated his bomb.” “As it crossed Euston Road into Upper Woburn Place, heading towards Tavistock Square, CCTV from other buses showed its last moments … A camera on the upper deck of a busy Route 59 – travelling in front of the No 30 – showed people clambering on board, again oblivious to the horror which was about to unfold …. One couple, who were standing, laughed and chatted as they sipped their take-away coffees …. The horror on their faces was instant as the bus behind them exploded, ultimately killing 13 people. Was this adverting poster for The Descent on the Route 30 bus meant to be a sign for Hasib Hussain to identify the actual bus that he was to board? Forget about the talk the Met Police used this advert to make it easier to track the bus’s final movements as the police already had the CCTV from the Route 59 bus in front of the Route 30 bus. Again we are aware that the Route 30 bus had been redirected away from its original route, which again simply means that whatever authority caused this and any other buses to be redirected would also have been in place to assist the Met Police with their investigation, though I doubt if the police will be advertising that assistance. And of course there will be no mention whatsoever of the former Head of Mossad, Efraim Halevi, and his article in the Jerusalem Post on the 7th of July 2005, that had been mostly written prior to the event, and his specific mention of Russell Square which is adjacent to Tavistock Square, and the First Prime Minister of Israel, Dr Chaim Weizmann, nor would there be any mention of the non-warning that the Israeli Financial Minister, Benjamin Netanyahu received prior to the actual bombing on the day. And of course there will be no mention of the ‘witness’ Richard Jones who stated that he had been on the bus, and seated next to the bomber, and was the first and only witness to state that the ‘bomber’ was wearing a rucksack. It was only because of what Richard Jones stated in regard to the ‘rucksack’ that the police were able to confine their search for men carrying rucksacks, and that the bombers were actually ‘suicide-bombers’. But Richard Jones was a far more important player than what our media have told us. Richard Jones had stood in a queue with Hasib Hussain, boarded the Route 30 bus at the same time, and whilst claiming that he was seated next to the ‘suicide-bomber’ was actually seated in the bottom section of the bus whilst the bomb was upstairs. But of most importance was the claim by Richard Jones that what annoyed him so much that he had to get off the bus was the fact that Hasib Hussain was continually fidgeting with his rucksack. Two girls were reported as witnessing Hasib Hussain blowing up, saying that this ‘guy came in and sat down and that he exploded.’ (The girls were being treated for shock at University College Hospital: we’re not told whereabouts they had been, only that they were ‘involved in the bus bomb.’) The girls totally missed the rucksack. The perpetrators couldn’t rely on normal witnesses to convey their required message. That is why Richard Jones had to ‘drip-feed’ the media with the story of the ‘suicide-bomber’ carrying a rucksack. The first thing we realise from Richard Jones statements to the media is that he was an Intelligence Officer, with the task of being the ‘Professional witness’. The second thing we realise from Richard Jones statements is that he was also Hasib Hussain’s ‘Minder’, that is an Intelligence Officer whose job it is to see the ‘patsy’ gets to the right place at the right time. The third and final task that Richard Jones would have been required to do was, once everything was in the right place, to detonate the bomb in the bus, because believe me, MI5 would never have trusted the likes of Hasib Hussain to carry their bomb for them. Now do you understand why there is so much CCTV footage no longer available to the general public? The footage would also feature Richard Jones just where he was not supposed to be. Why am I reminded of the Lusitania, and the Sea Lord, Winston Churchill? There is one other article of Mr MacGregor’s relevant, which evaluates the role of Richard Jones on the 30 bus in Tavistock Square, as possibly being HH’s minder. Both Hugo, and Detective Inspector Kindness, of Scotland Yard’s Counter-Terrorism Branch, had just spent a great deal of time tracing the progress of the innocent Hasib on CCTV footage through the streets outside Kings Cross Station. Finally, D.I. Kindness announced that they had now reached the last image of Hasib ever recorded. But the trouble was, the young man was no nearer to Tavistock Square – his alleged final destination – at the end of this sequence of digital images, than he was at the beginning. In fact, by walking along the Grays Inn Road he was moving further away than ever ! What could possibly save the opening scene of the pantomime, and put back the swagger into Hugo’s theatrical performance ?. After-all he was supposed to be top-billing in this show. Well, the answer was – the good-old London Bus !. With great aplomb, and the flourish of a policeman’s cape, the Detective Inspector conjoured-up out of thin air the notion that Hasib had climbed aboard a bus, which had then whisked him away in the direction of Euston. The officer did not feel the need to produce a scrap of evidence for this. There was no CCTV image showing Hasib boarding the bus, or of him travelling inside the vehicle. There was a vague reference to witnesses, but he couldn’t name him/her/or them, and they didn’t make a statement to the police at the rehearsals, or attend the pantomime itself and give sworn testimony. So, instead of being able to follow any more CCTV footage of Hasib himself, the audience were taken on a mystery bus-spotting tour. First, there was route 91 – which Hasib was supposed to have been aboard. There there was mention of a 205 bus, and a 253. Route 168 then took a bow, as did the 73 and the 59. Eventually, a number 30 came into view, and this particular bus suddenly exploded as it entered Tavistock Square. The theatre audience gasped in horror. It was clear from the extensive damage done to the vehicle that some kind of high-powered explosive device had been planted on the top deck of the bus. But before anyone could collect their thoughts, a pantomime policeman entered from stage right and announced that the 18 year-old Hasib had been a ‘suicide bomber’, and had carried out this attack by means of a home-made concoction that had been brewed in a bath-tub in Leeds !. No CCTV image was ever shown of Hasib on the number 30 bus, and no credible eye-witness came forward to claim they saw him boarding at Euston. Admittedly, there was a brief cameo appearance by an implausible character with a squeaky Scottish accent who said he saw a young man fiddling with a rucksack on board the bus, but everytime he opened his mouth he gave a different account of what he had seen. The audience soon grew tired of his irritating voice, as well as his crackpot performance, and shouted “Get Him Off” – which the pantomime director duly did ( but only for this same character to appear much later, playing the part of a stooge in a very dubious BBC production ). By now the theatre audience were becoming quite restless and angry. The poorly constructed plot had too many inconsistencies, and the narrative didn’t seem to make much sense. Realising that all was not well, the Production Manager rushed out on to the stage and tried to reassure the audience that the narrative was both realistic and robust. “Why can’t you people just accept the story-line that you’ve been given” growled the angry Production Manager. The Production Manager was now incandescent with rage. “This pantomime has been staged purposely for the benefit of the bereaved and injured”, he spluttered. “They’ve had their paltry compensation, and they’ve even had a phoney memorial built for them in Hyde Park. Now we are putting on this brilliant production to show the world that we care” – ( although, to be honest, it’s also a handy method of getting the authorities off the hook, and drawing a line under the whole ghastly business ). He could stand it no longer, “You are all conspiracy theorists”, barked the Production Manager. “Oh No We’re Not !” responded the audience. “Oh Yes You Are !” he yelled back. A stagehand then rushed forward from behind the scenes to whisper in his ear. “Sir, we are on the verge of a crisis here, shouldn’t we return to the pantomime”. “yes, precisely”, muttered the defeated Production Manager. And upon uttering this magic word, the trapdoor in the floor of the stage suddenly flew open, and a terrifying figure arose enveloped in billowing green smoke. This was the arrival of the pantomime villain – Peter ‘Power of Darkness’. “This morning I was holding an exercise for an organisation with a thousand employees” he began. “Obviously the vast majority had proper work to do, but I did persuade about eight of them to join me in a little office near the basement. After a while the Supervisor came along, clapped his hands, and said, get a move on you lot, chop-chop, this exercise is going on far too long. So we immediately switched from slow time thinking, to quick time doing, and got our bureau numbers – a logical thing to do. After-all there are more Jewish businesses in Cricklewood, than there are American banks in the City of London, so it stands to reason…. The audience were incensed by this flow of gibberish and started booing and hissing. Almost at once Peter ‘Power of Darkness’ started to descend through the trapdoor, shouting “I’ve still got the hairs on the back of my neck standing upright”. And with that he disappeared for ever – except for occasional appearances on the BBC. That night a deeply-troubled Hugo left the brightly lit Royal Courts of Justice, and trudged wearily homeward through the dark, snow-covered streets of London to his dank, lonely garret. It was getting near to Christmas and he fretted that the pantomime would not last the whole season. The problem was, he thought to himself, the story-line was so poorly scripted. No adult – and certainly no child -would accept such an unbelievable narrative. Fair enough, all those actors who had behaved honourably, or bravely, on July 7th had been warmly applauded by the audience, but the rest of the cast – including himself – had been blown a large raspberry. Hugo searched for adequate words to describe the pantomime. “What was it the former prime-minister, Tony Blair, had said”. “A Ludicrous Diversion”. “yes, that was it – a ludicrous diversion. When he finally reached his luxury penthouse in fashionable Mayfair, Hugo switched on the TV and picked up some of the morning newspapers. And to his astonishment, all the media were heaping praise on the pantomime, and giving it high marks for its quality, credibility, and – yes – durabilty. The BBC, of course, was gushing like an over-excited schoolgirl, while even an editorial in the Guardian ‘waxed lyrical’ about the performance of the fairy-godmother – Lady Justice Hallet. We have another 7/7. Drummer Lee Rigby, I suggest that either you Nick, or Ian.R.Crane become a Mckenzie Friend, for the defence, or there will be another whitewash. No one will get to the truth if the Crown or MOJ dictate their own rules. A barrister’s first duty is to the Crown, second duty to the public (not in this instance), so defendants are guilty. The public stage is set. Richard has been involved with IT Recovery Management, IT Disaster Recovery and Business Continuity Management for the past 24 years and has led risk and business continuity related projects worldwide. Richard has extensive experience working with companies in all market sectors. His current role as the Business Continuity Principal Consultant is critical to the success of the SunGard Professional Services BCM practice. Working with the Head of Professional Services, the Principal Consultant is responsible for developing strategic business opportunities and managing client relationships at a senior level. Also key to this role is working internally to expand the practice’s capability and service offerings, and responsibility for leading strategic consulting engagements. Previously Richard was an experienced Managing Consultant and led a dedicated team of UK based BCM and Risk Consultants for SunGard Professional Services for 6 years. This role involved leading strategic projects in the UK, EMEA and US, but also included developing sales opportunities with account teams, product development for the practice and quality control of deliverables. Based on his performance in 2005-2006, he was voted the CIR – Business Continuity Consultant of the Year 2006…. ….Peter Power and Richard Jones receiving their awards from this year’s Business Continuity Awards. Maybe he helped Peter Powers a bit in the conduction of his exercise? I wonder if it was another task for him to get the bus to stop as close to the Tavistock Institute as possible. I don’t think he himself would have detonated the bomb, but maybe someone present at the Tavistock Institute did? This way Richard had a place to retreat and support from Tavistock staff if needed, too. There might have been a possibility to plant the bomb when the CCTV of the bus was disabled. Crikey! I have little faith in the authorities that are so-called in place to protect us. But my faith convictions do not mean I am not without a modicum of reasoning and logic. One of the most far fetched, implausible, poorly researched pieces of fiction I have read since…ever! I suppose the 9/11 attacks were masterminded by the CIA and that the alleged hijackers wore masks to make them appear to be Arabs. A very well structured article, I will concede, but so lacking in any tangible evidence as to explain the huge flaws, the cavernous gaps, in the conspiracy premise. Could I suggest a subscription to the Beano, for all those readers left wanting more? I take it this section relates to the official fairytale? This blog post is the ramblings of a madman. Seriously, who writes this crap? The events of that day (and this bomber specifically) are very easy to chronicle. He travels to London, with the knowledge of where and when to detonate the device. They have done their ‘trial runs’. He gets on the tube and his device does not work. He leaves the tube and station as the evacuation is underway. He is now panicked, the plan has failed. He calls his fellow bombers. A person with half a brain can clearly see why. His bomb does not work, he is checking if theirs also failed. He knows there has been an explosion but not how many. He doesn’t know if one succeed. Or two? Or all three? He doesn’t just call them once. He tries and tries again. Phone signals are choppy on the underground, maybe they are still on the tube? He doesn’t know what to do, he can’t get back on a tube. He needs to check why the bomb isn’t working. He goes to McDonalds and changes the battery. 8 minutes. He decides to detonate on a bus, the bus he chooses terminates within a stop or two. He gets on another bus and detonates. The end of an evil Muslim. Notice how this pro-government text can *only* be done with abuse and insult, its important to appreciate that.